There are some fantastically cheap insurance premiums around for Personal Trainers and they seem like a no-brainer when comparing quotes. But have you ensured you’re actually being covered for all the Personal Trainer activities you undertake? 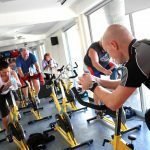 To put it simply, unless all your PT activities include overseeing, and showing people how to use Australian Standard Gym Equipment in a corporate gym facility, you’re current PT policy likely isn’t covering you for what you need. Non-Australian Standard Gym Equipment: If you have ever run or coached a class/bootcamp and used a chair, a log, step, or wall etc. as part of your session, you’re technically using equipment that is not Australian Standard Gym Equipment. This means if one of your clients gets injured whilst you’re running one of your classes, you’re current policy likely isn’t covering you for it and you will be held fully liable for their injuries. Client Without Shoes On: If your client knocks their shoes off during one of your classes, whether it be for a deadlift or stretching, you can guess it’s one of those minor details that generally goes undetected in your PT Insurance policy and you’re likely not covered if anyone is injured whilst not wearing shoes. Bootcamps/Group Classes: Generally any PT class or bootcamp you run outside a corporate gym facility falls is not covered. It’s ridiculous because so many personal trainers run auxiliary exercises and group sessions and they do so using “non-Australian standard gym equipment” but again, it’s mostly a technicality and it catches a lot of trainers out as it’s usually common practice. 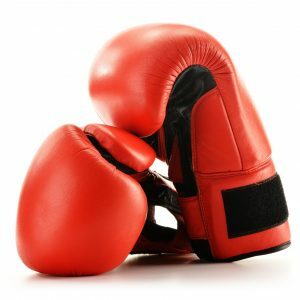 Boxercise/Pad & Mitt Training: If you ever get the gloves and pads out during a training session, you’re looking at all sorts of technicalities within your insurance policy. It’s generally regarded to be outside the scope of PT activities even though it is so common! Most insurers will tell you this type of training requires a form of Boxercise/Martial Arts cover. Diet/Nutrition Advice: This is typically a big no-no for PT insurance, you’ll find most insurers will not deem you qualified to provide this type of advice even if you are, basic policies just won’t cover it. If you as a personal trainer run any of the aforementioned 5 activities, be sure to follow up your current insurer to make sure you’re covered where it counts! If you have any questions or want to know if your particular PT activities fall outside the common, feel free to make a non-obligatory phone call to GYM HQ on 1300 815 344. We’re always more than happy to offer insight and advice to anyone who needs it. If you want Personal Trainer Insurance customised for you and the activities you undertake, get an INSTANT online quote using our free calculator HERE.